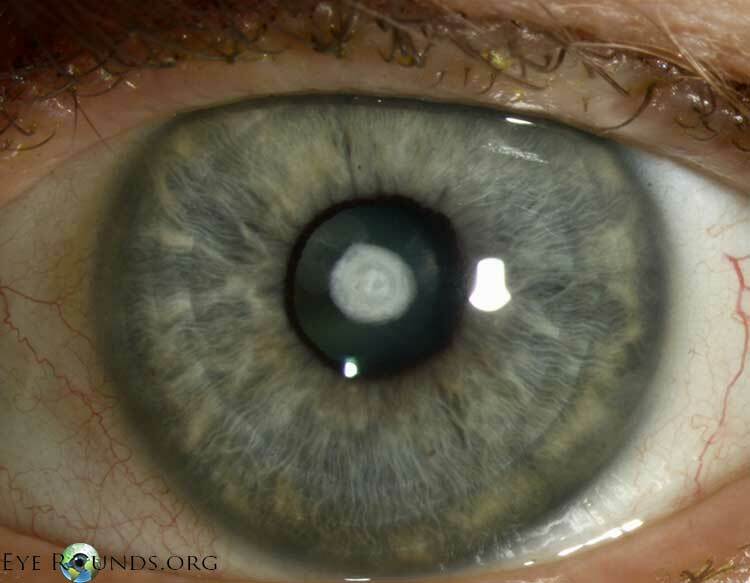 Anterior polar cataracts are congenital opacities involving the anterior capsule and subcapsular cortex. 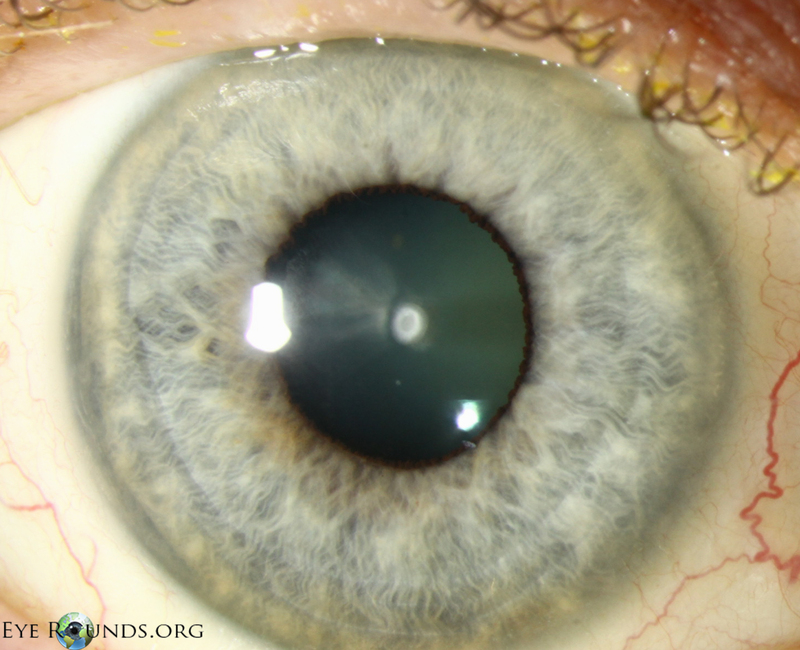 They are typically small, bilateral, symmetric, non-progressive, and not visually significant. 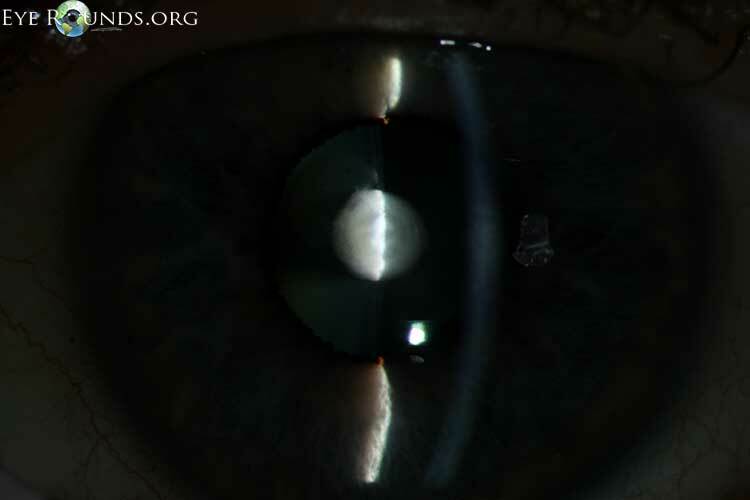 The patient in these photographs had anterior polar cataracts that were more prominent in the left eye than the right. 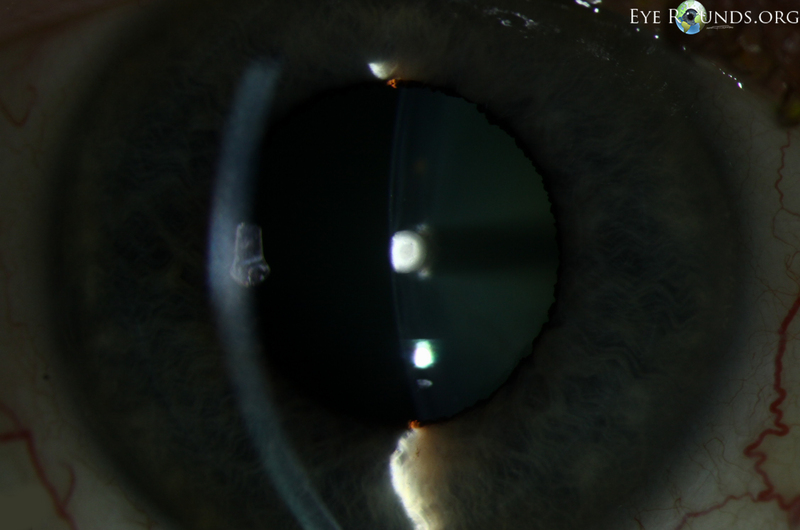 Only the left cataract was visually significant.